Once you’ve realized that you need to take a step up from shared hosting to a virtual private server (VPS), the most important decision you’ll face is choosing the best provider. Your web host may have delivered fast website speed, 99% uptime and high-quality service for your current site – and they probably sell at least one VPS package. They’ll likely migrate your site (or sites) to a VPS for free, and might offer upgrade pricing that’s better than their published costs in order to keep you as a client. However, there’s much more to consider other than performance, convenience and price. Those additional considerations all start with the country where your VPS will be hosted. Companies and individuals upgrade to a virtual private server for several major reasons. Along with more computing resources and more control over their installation, most VPS users need better website speed, reliability and performance than they experience when sharing a server’s resources with many other clients. A properly-run VPS hosting service will give the user more resources and almost complete control over their section of the server, no matter where the box is located. Speed, reliability and privacy, though, aren’t always under the complete control of a hosting provider. The overall performance of a web server doesn’t depend solely on equipment and the people who install, configure and maintain it. To an enormous degree, website speed and reliability are determined by the quality of the connection between the server and the rest of the Internet. To put it simply, you may have the best equipment and personnel possible. But if your server is located in Eastport, Maine, your site won’t perform as well as a comparable site located in a city that’s home to an “Internet Exchange Point” where web traffic is exchanged directly between service providers. When a hosting provider is close to an IXP, data doesn’t have to make numerous “hops” between third-party networks. That means higher speeds, lower latency and often lower costs are associated with a VPS located in one of these desirable cities or countries. The superior performance delivered by optimally-located servers is also important to other categories of VPS users, such as those who are setting up game servers, streaming media servers or even their own web hosts. It’s also crucial when using a VPS to run resource-intensive software applications. One final consideration: many choose to run a virtual private server for security and privacy reasons. Any quality web host will let you lock down your server, and there are many encryption and security solutions available to safeguard data. However, privacy is a different matter. For whatever reason you may be seeking complete privacy and/or anonymity for your web operations, you should host in a country with the maximum legal protection for web hosts. In most developed countries, it’s fairly simple for the government to acquire information or for third-parties to force website takedowns; the hosting company has no choice but to comply. The United States is one of the least-favorable locations for hosting in that regard. There are some nations, however, where the privacy of server clients, website operators and site customers are strongly protected by law. Why Choose a VPS Provider in The Netherlands? Now that you know what to look for in a VPS provider, you’ll easily understand why the Netherlands is the ideal location for a virtual private server. You’ll also understand why more virtual private servers are located there than in almost any other country. Holland is home to the largest Internet Exchange Point in the world, the Amsterdam Internet Exchange (AMS-IX). AMS-IX boasts the highest average throughput (3451 Gbps as of January 2017) of any IXP that makes its information public – finally passing perennial leader and now-#2 Germany’s DE-CIX, and nearly ten times better than the best IXP in America that publishes its data (the Seattle Internet Exchange, at 458 Gbps). That’s a major reason why the Netherlands’s average connection speed of 12.5 Mbps is the fourth-fastest average connection speed in the world (behind South Korea, Japan and Hong Kong) and the fastest in the Western Hemisphere, according to CDN and cloud provider Akamai Technologies. And Holland’s connection speeds are growing at the second-fastest rate of any developed nation. Proximity to AMX-IX – and the impressive speed and performance it provides – has led to an enormous web hosting and e-commerce boom in Amsterdam and other cities in Holland. Many of the world’s major websites and online operations (including Microsoft, Cisco and Google’s primary European data centers) are located in the country due to its impressive and highly-effective connectivity benefits and Internet infrastructure. It’s not just AMX-IX that makes the Netherlands a world leader in digital infrastructure. Eleven of the fifteen transatlantic high-speed cables which link America to Europe run directly to Holland, making peer-to-peer as well as network connections to all points in the Western world stable and outstanding. Commercial and residential networking in Holland is completely composed of fiber-optic digital cable, with the world’s highest broadband rate per capita, 99%. And the nation continues to strategically devote more of its resources to the development of the online industry than other countries in Europe, with CBS reporting that Dutch Internet operations are responsible for more jobs in the country than either transportation or construction. The Netherlands has long been a leader in the battle for privacy and data protection. In fact, the Dutch data protection agency went after Google in 2012 for web privacy violations that the search giant allegedly committed by collecting online information on web surfers, threatening Google with fines of nearly $20 million for the actions. That came just a year after the Netherlands forced Google to apologize for collecting data from millions of web hotspots in Holland while gathering information for Google Maps. Holland’s “anything goes” approach to the rights of web users’ right to post and download content that might violate copyright protections has traditionally been far different than in most Western nations. The downloading situation changed somewhat in 2014 when the Dutch policy allowing all downloads for personal use was rejected by the European Court of Justice, but enforcement is notably lax. As for alleged infringing content, the Dutch “Notice-and-Take-Down Code Of Conduct” is very different than the American DMCA. Web hosts set up their own notification system and compliance is voluntary. Most hosts in the Netherlands now do take down allegedly-infringing content when requested to do so (as long as their rules are rigorously followed), but some don’t. In short, Holland has a long history of defending the online right to privacy. The protections you receive when using a Netherlands VPS provider may not be quite as robust as they were a few years ago, but remain far superior to those you’ll experience with a host anywhere else in the Western world. Here’s our look at the best Netherlands VPS providers. This company has been around since 2010 and is registered in India, with VPS hosting operations in the Netherlands, Germany and Russia. They offer managed as well as unmanaged VPS plans plus dedicated servers. Most of their plans are on Linux hosting, but Windows VPS plans are available also. VPS9 is a decent company for Netherlands VPS hosting but their administrative functions are handled in India and not Holland, and their 18-hour (not 24-hour) customer service is also run from India. And as with many of the providers on our list, there’s a hefty fee if you want either cPanel or DirectAdmin. One other potential concern: they offer unmetered bandwidth* – but don’t explain what the asterisk means, so you could be subject to unexpected financial penalties during periods of heavy use. Ecatel is based in the Seychelles and runs its VPS operations from a Netherlands data center. This company is fiercely devoted to privacy, requiring only a valid email account to set up an account and handling complaints according to Seychelles law (which is virtually non-existent). They have three levels of Linux VPS available, all with semi-managed service that includes software and script installation. Semi-managed service is a definite plus, as are fairly-generous bandwidth allowances and extreme privacy policies. Remote management of the company from a small island in the Indian Ocean with limited information available on the hosting company, however, will raise a red flag for many potential clients. As you can tell from their name, Seed VPS specializes in supplying virtual private servers primarily to those who want to download and seed bittorrent files, and the high speed capabilities of a Netherlands VPS is perfect for the task. The company keeps a very low profile but apparently is an Israeli firm. Your VPS will be on a Linux machine and you can select either hard drive or SSD storage. Very good pricing, good specs and excellent speed argue in favor of Seed VPS, particularly if you plan to run resource-demanding operations on your server. What make of hardware and processor speed will you be getting, though? We don’t know, either. A very reputable Dutch company (with additional offices in the UK and Belgium), Versio has been offering Netherlands web hosting and domain services since 2008. Their Windows VPS services (no Linux) are based on Cloudbox virtual technology and a single package is offered; in order to upgrade resources from the basic plan, you simply add more Cloudboxes which can be run separately or combined to form one larger virtual server. This is one of the best-known and respected hosts in the Netherlands with the speed and reliability that go along with the reputation. Fees, fees and fees add to the apparently low price for Versio’s Cloudboxes, though. And the fact that you have to add identical Cloudboxes to upgrade, without receiving economy-of-scale discounts, is a bit discouraging – as is the fact that no hardware details are provided. Another hosting company based in the Netherlands, Orange Lemon is well known for its high-speed dedicated servers for games like Minecraft. It offers the same high-end power and service to Linux VPS clients, although at relatively high prices and with a one-year contract required. This is high-quality hosting at prices that match, offering great speed and power advantages. However, the amount of storage and bandwidth offered for the high prices will be a deal-breaker for many, as will the lack of hardware detail and the requirement to sign a one-year contract. Liteserver is based in Holland and offers three types of Linux or Windows VPS packages depending on the client’s needs: the SSD series which balances memory, storage and bandwidth, the Traffic series which offers less storage but more bandwidth, and the Storage series with less bandwidth but SATA drives and SSD-cached storage. The highly-configurable SSD/Traffic/Storage options are quite attractive, particularly at Liteserver’s prices, because they let you drill down to choose the VPS that best meets your needs. What makes the decision tougher is the lack of detail on hardware except for the number of CPU cores. Those who prefer the familiar cPanel or DirectAdmin panels will also be out of luck. A fully-certified cloud hosting company offering VPS services from two data centers in the Amsterdam area, Tilaa has been in operation since 2008, serves clients from nearly 150 countries and has won awards for being one of the fastest-growing tech companies in Holland. Their packages are completely customizable and an SLA is included with all VPS setups. 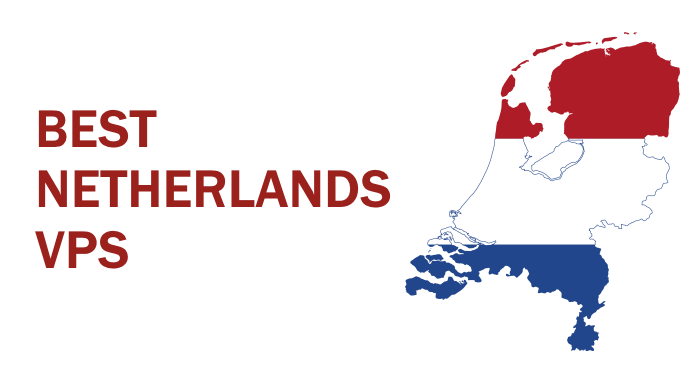 Very reasonable pricing for the value provided by a top-notch host, along with unparalleled flexibility in creating packages, make Tilaa a good option for Netherlands VPS hosting. Of course, not knowing more specifics about server hardware makes it hard to fully evaluate services, and “unlimited bandwidth” is different than unmetered bandwidth; it usually means that it’s only unlimited until you have too much traffic flowing – that’s when you may learn the hard truth about hidden overage charges. This Dutch hosting company has a long and successful history and currently manages nearly 2000 servers in its Alblasserdam Tier 3 data center. Unlike many Linux VPS providers, fully-managed hosting and weekly backups are included with every package. Note that their prices are quoted in US dollars. Fully-managed VPS servers on a well-respected host and regular weekly backups are huge selling points for Lvpshosting.com; they’re not the best on our rankings of the best Netherlands VPS providers due to somewhat-higher pricing, but they’re definitely better than most competitors. Yisp operates its offices and two data centers in the Netherlands, with a third co-located in Miami for redundancy. It is a high-quality host, using only top-level equipment from name suppliers to offer dedicated servers and colocation as well as cloud VPS servers running Linux or Windows operating systems with SSD drives. The small amounts of bandwidth and storage on the lower-level packages offered by Yisp are the only major drawbacks for this high-quality and reasonably-priced VPS provider – other than the possibility that you could end up with your data being served from the Miami data center instead of the ones in the Netherlands. Of course, not knowing all of the hardware specs for your server isn’t ideal, either. AbeloHost has been offering shared, VPS and dedicated hosting based in the Netherlands since 2012. The company doesn’t scrimp on equipment, using Supermicro hardware with Intel processors, and guarantees complete data privacy in accordance with Dutch law. You can choose from Linux SSD VPS, storage VPS or inexpensive low-resource OpenVZ VPS packages with a wide range of options. AbeloHost offers perhaps the highest reliability of all Dutch VPS hosts due to its insistence on the highest level of technology, while offering the lowest entry cost of all the companies on our rankings of the best Netherlands VPS providers. The prices for cPanel add-ons is high, but their standard free control panels are robust and more than sufficient. Particularly reassuring are the facts that they tell you exactly the type of server you’ll be getting, and that they offer true unmetered bandwidth and daily backups, with free anti-DDoS protection and high levels of privacy protection.